I have a very unique position at Nantucket Conservation Foundation. For the first part of the season I was the Shorebird Monitor and as the shorebird season wound down, I became the Invasive Plant Species Field Assistant. I was able to be immersed literally in the fauna and flora of Nantucket. Eel point is a very exciting place when it comes to shorebirds. Just this summer we had ten pairs of Piping Plovers, three pairs of American Oystercatchers, a Least Tern colony, and a pair of Osprey that nested on the ground. The Piping Plovers fledged eleven chicks, American Oystercatchers fledged four chicks, and Least Tern colony was very successful too. 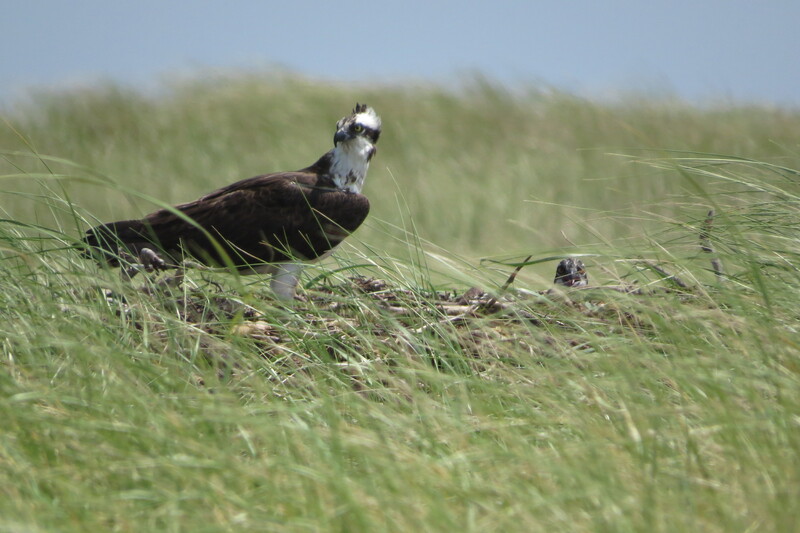 Having an Osprey nest on the ground is completely out of the ordinary, and it actually turned out very beneficial for all the nesting shorebirds. 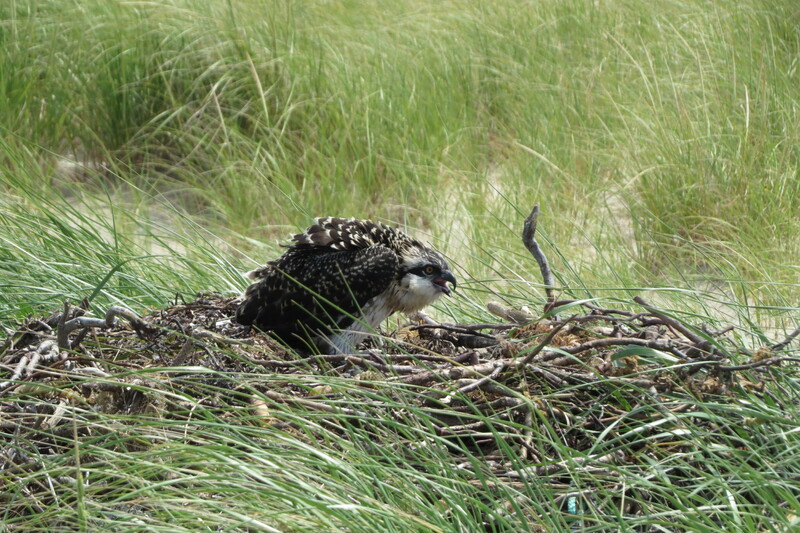 Where the nest was situated allowed the Osprey to be a “security system”, they were first to see anyone that decided to walk by whether it be people or predators, then they would take off into the air calling and alerting all the other shorebirds to be on guard. This nest successfully fledged one chick, and it can be regularly spotted perching on Pam Loring’s Tower at Eel Point. One of my favorite tasks this season was banding the American Oystercatchers. Normally, I am observing from afar with either binoculars or a scope but having the chance to band these birds, allowed me to get up close on a personal level. Now that the shorebirds are staging and beginning to migrate to a warmer climate for the winter, my time is spent battling invasive plant species. 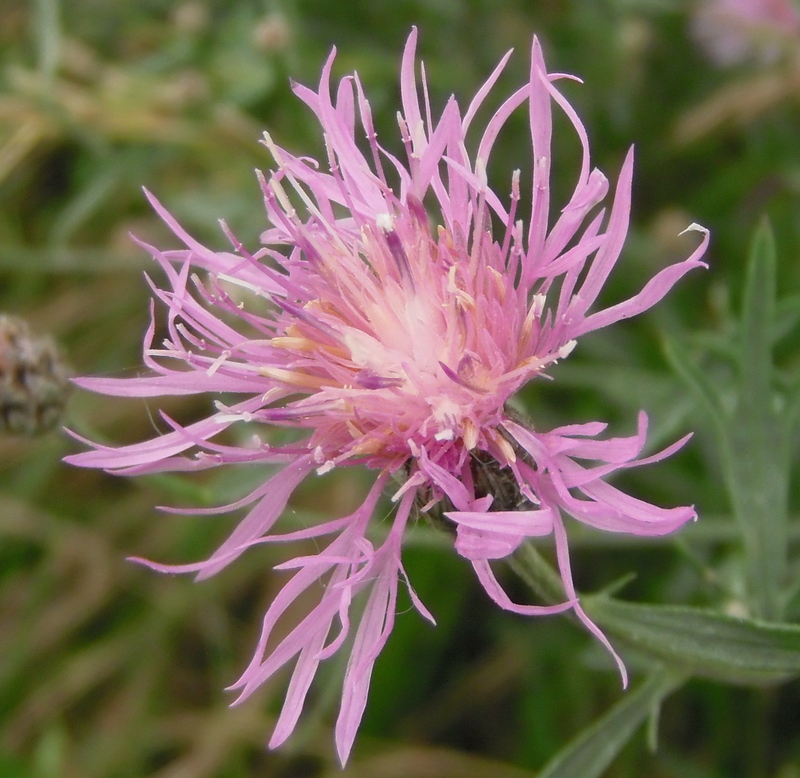 A major invasive species that I try to conquer daily is spotted knapweed (Centaurea maculosa), an invasive plant that loves heat and disturbed soil and can be found along road edges and bike paths. Also, this plant contains toxic chemicals which if handled without gloves can cause skin irritation and migraines. Since this plant loves constant disturbed soil, this makes it hard to remove without unsettling the ground. Elimination of this plant can only be done by digging up and getting rid of the plant entirely which includes its large tap root. Russells Way, Eel Point Road, and along the edges of Nantucket’s bike paths are just some of the areas where removals have been performed. I have never noticed spotted knapweed before I worked here. When I make trips home to Chatham, MA, I now notice it everywhere on Cape Cod and I can be a witness of how this plant literally can take over and become uncontrollable. I definitely support all the efforts that NCF & the Nantucket community have done and will do to prevent this invasive plant from spreading further. This season has been so enriching and exciting for me and it’s not even over yet! 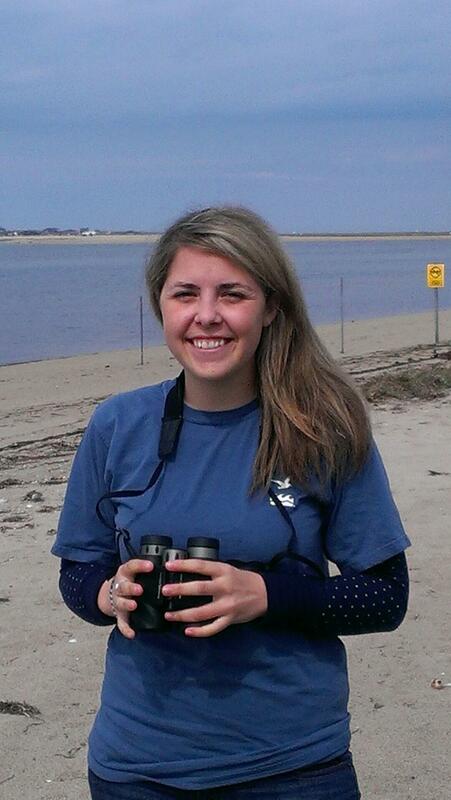 I have learned so much more about the shorebirds which I am privileged to oversee daily. Now I’m learning even more about Nantucket and its unique landscapes and fauna. Everyday I am challenged to expand my knowledge of our environment. All of our efforts to protect and preserve Nantucket matter and will benefit generations to come. 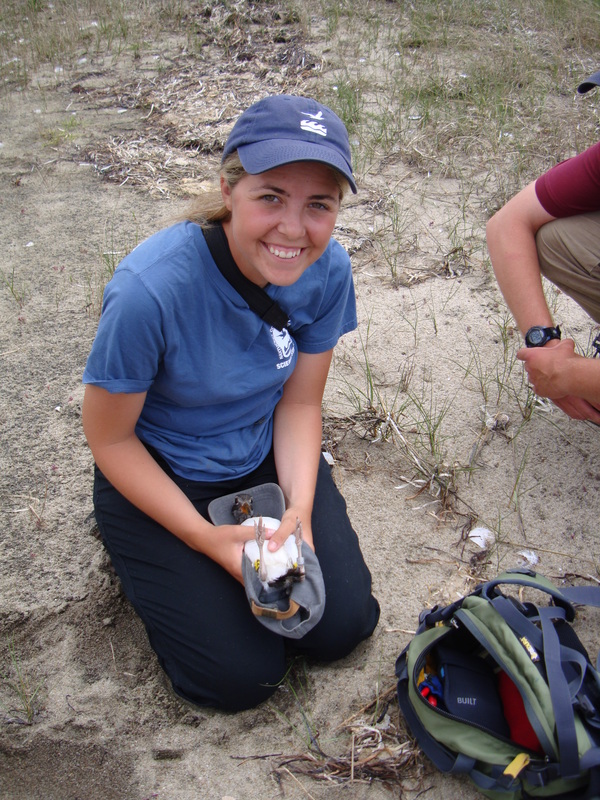 This entry was posted in Shorebirds, Uncategorized and tagged American oystercatcher, bird conservation, invasive species, Nantucket, Nantucket Conservation Foundation, NCF, piping plovers, shorebirds, spotted knapweed. Bookmark the permalink.